Registrar Richer indicated that, “among things clients reported wishing they had approached differently when purchasing or selling their home was having a better understanding of the process. (Buyers 26%, sellers 12%), seeing more houses (21%), having a home inspection (15%), spending more time selecting a Realtor (9%) and understanding the contracts better (buyers 14%, sellers 9%). 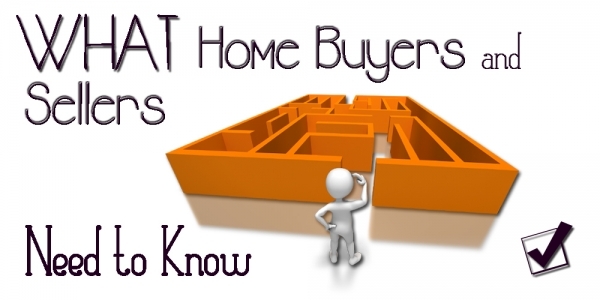 As a result of this study, I have put together four recommendations for home buyers/sellers that I think are essential before they venture into purchasing or listing a home. There are so many things to consider when you are selling or buying a home. These recommendations are the best place to start. 1. Be careful when selecting your Realtor. Have interviews with at least 3 before you pick one. 2. Be sure you have taken the necessary steps to ensure your financial organization has advised you on your spending limits. 3. Be very open and honest with your Realtor about your needs and knowledge. 4. Plan ahead on what your needs are and know the difference between needs and wants. 5. Ask questions. Ask questions. Ask questions. If in doubt, ask more questions!